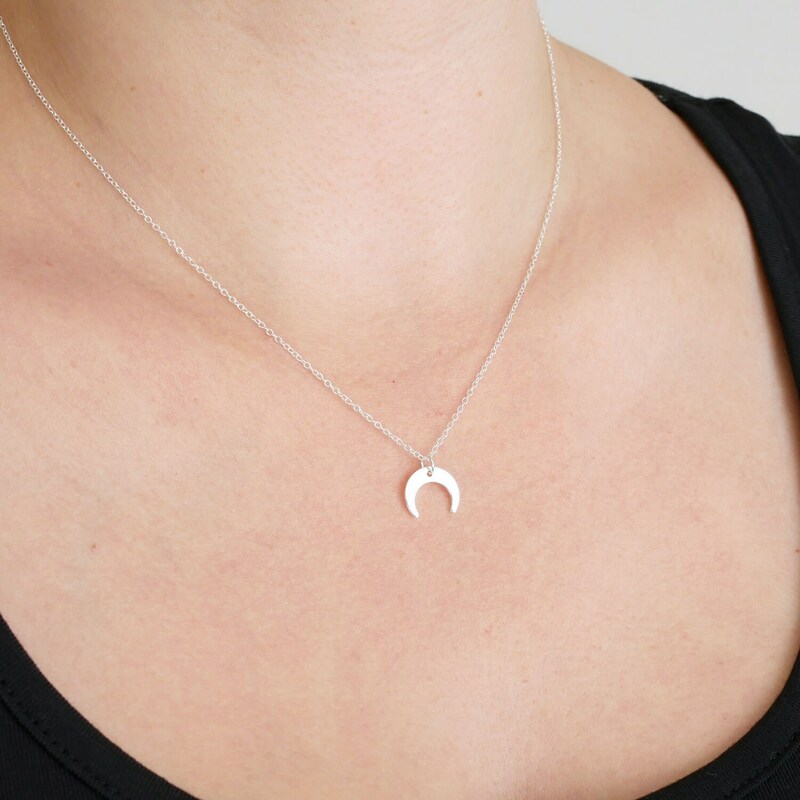 Minimalist and striking silver Crescent Moon Necklace available in two sizes. - - Fine 925 Sterling Silver trace chain available in 16 inch (approx 41cm) or 18 inch (approx 46cm) lengths. 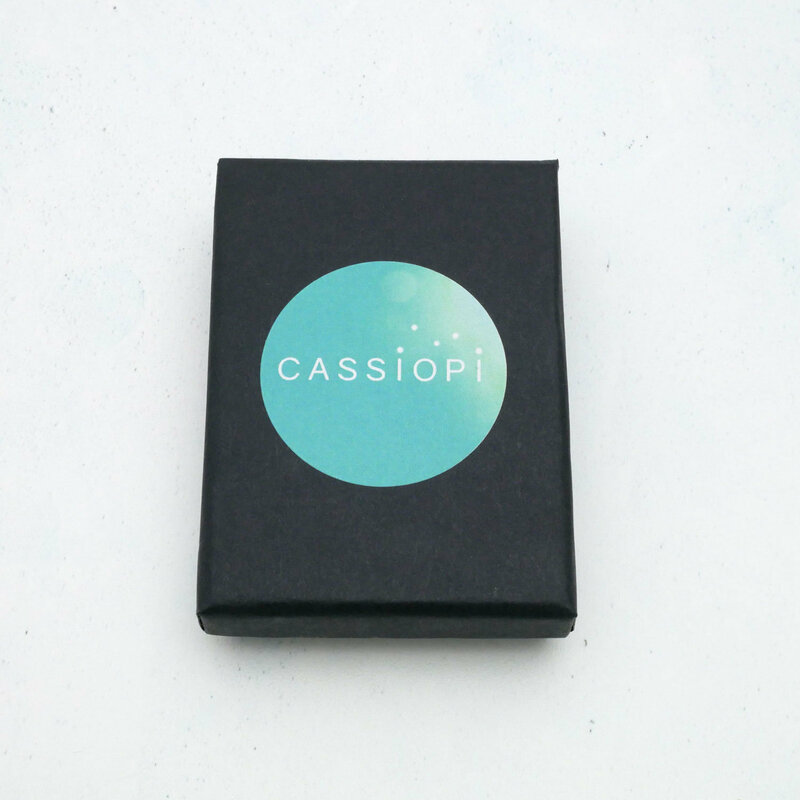 Your necklace will arrive in a gorgeous recycled gift box ready for gifting. 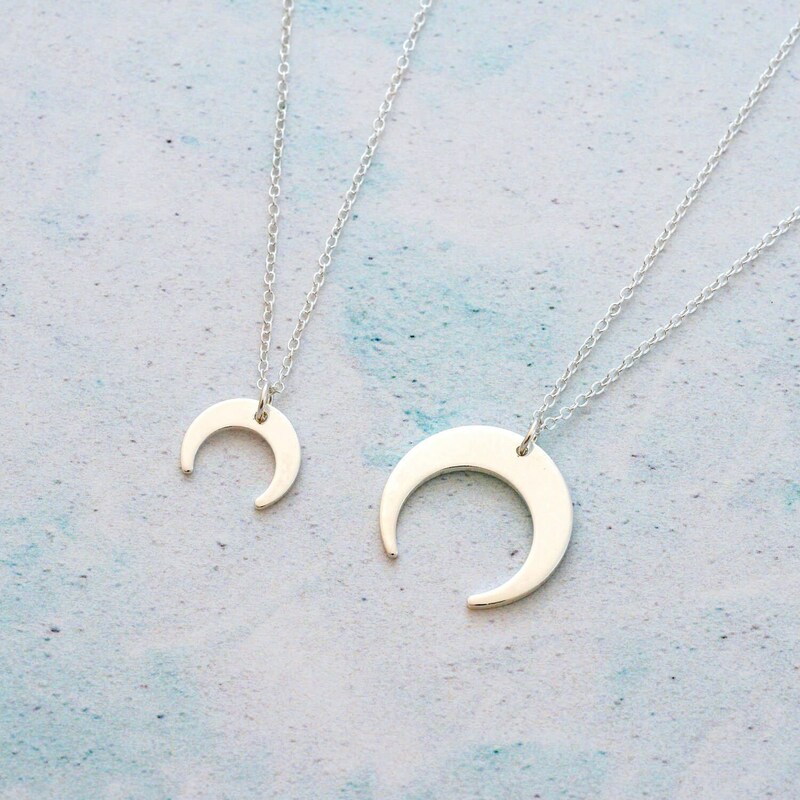 To keep your necklace shiny and tarnish free, store it in the small ziplock bag that comes with your piece to keep it nice and airtight. 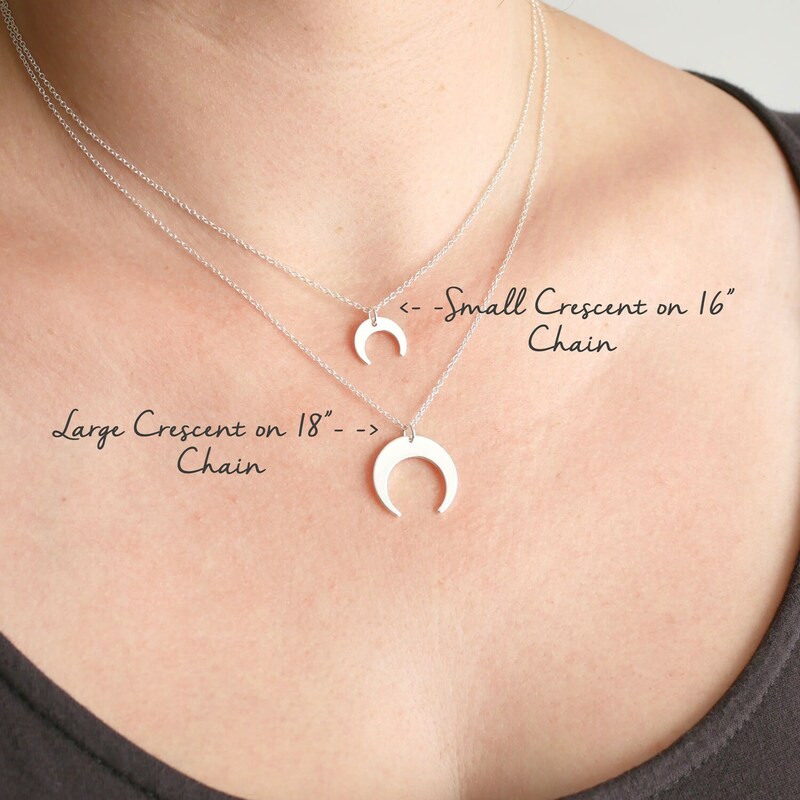 We advise that you don't get the pendant wet as this could prematurely wear the plating. 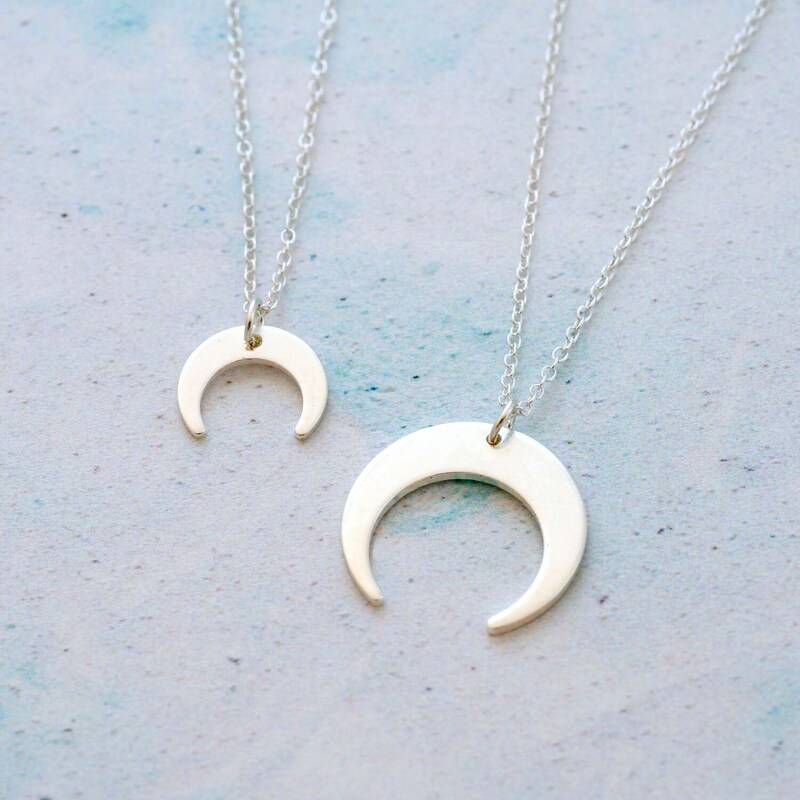 A silver polishing cloth is ideal for cleaning the necklace.